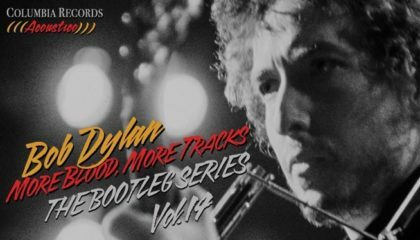 This Sunday in the album spotlight on Fine Tuning will be Bob Dylan’s “More Blood, More Tracks: The Bootleg Series Vol. 14.” This is the one we’ve been waiting for — the release that tracks the recording sessions for Dylan’s landmark 1975 album “Blood On the Tracks.” Even beyond its fascinating and contorted studio history, the album holds a unique allure for listeners. The powerful songs Dylan brought to the table, spawned in no small measure by a failing marriage, were fraught with intense emotion, and listeners embraced the material on a deeply personal level, thrusting the record to No. 1 on the national charts. Also in the mix will be a 75th birthday tribute to Joni Mitchell, plus new music from Steve Gunn, John Hiatt and Hiss Golden Messenger.